I was always a Speakerphile in my younger days. I recall coming home from school and turning on my Pioneer towers that my grandpa gave me and upsetting the neighbors by blasting the Rocky II vinyl album on repeat…ha. 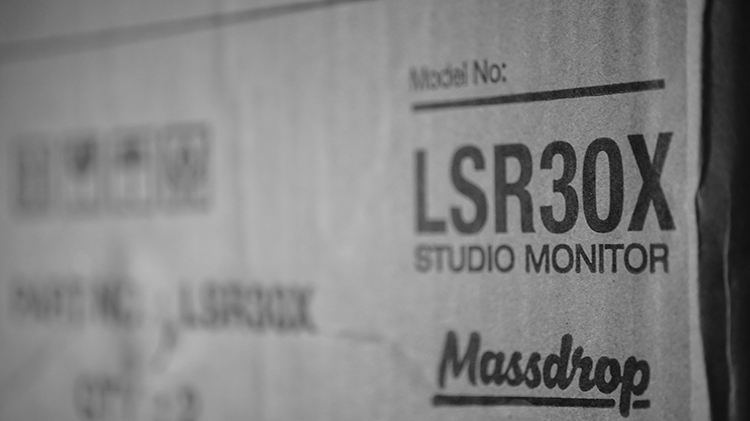 Today, we will be listening to and rating the (Massdrop provided) JBL LSR-305 (Massdrop 30X) powered speakers. I was very thankful to solicit a pair to listen to and enjoy. Let’s see how these 305’s fair against the competition at the $300-500 tier for powered speakers. Shall we? For those interested in buying asap, join the Drop as soon as you can at the link below for a discounted pair. At a hefty 10lbs each and 11.75x 9.88x 7.28 inches for each unit, the 305 is a bit of powerhouse that holds dual Class D amplifiers inside: One for highs and another one for lows. These speakers range from 43hz – 24kHz and with that, I’d expect a relatively flat bass response without an overpowering thump. And having said that out loud prior to receiving them, it can to no surprise to me that is how they sound on a flat EQ. What I am absolutely in love with is that I can use a standard ¼ cable or a 3 pin XLR cable to run from my source’s output and directly each speaker. I vastly prefer this classic setup, minus the powered amplifier that I am forced to use on something like my AudioEngine speakers that I’ve opted for continued usage with for the past few months. I am not fond of requiring more equipment to sound good and my electric bill appreciated the lack of a need to use said beastly speaker amp to power things proper. No need here, just grab an appropriate interconnect for your source or even a headphone amp and enjoy. I use these 305’s mostly right out of my Oppo 205’s RCA output and oddly enough, because these specific cables were on sale, I’ve opted for RCA to XLR and directly connect to the 305’s XLR input on the rear. Yep. Why not? I know I just said that I prefer not to use amps with speakers these days, but my headphone amps pull significantly less power out of my outlet than my Harman dedicated speaker amp does when I am using my AudioEngine A5+. Also, I prefer to use my Feliks Audio Euphoria, for clarity reasons, over my Airist Audio Heron 5, which was the beefier amp in terms of power. But as mentioned, that’s not needed with the 305. Go for quality here over any powerful output potential if you have a source that is improved by a headphone amplifier. No rules, mates. Go for it and don’t look back! My Euphoria is a $2000 tier amplifier for headphones that sound stunningly clear in quality, no doubt. Although, on said 305’s, the experience is still meaty and of a nice substance, but what I would consider a reference in tonality. Through my Heron 5 solid-state amplifier, the experience is noticeably more bloomed on the bottom end, which results in a warmer appeal that is more appetizing to my preferences. As mentioned, the 305 can become a bit warmer with a very warm source, or remain relatively flat with a very neutral source. I toted these speakers to a party and ran right off my Echobox portable music player and none were the wiser for it. Attendee’s thought I had a bigger setup somewhere controlling it all. Nope. Just a good portable DAP, RCA to XLR cables, a wall outlet and these speakers. Nothing else really required to get great sound quality out of it. But, that is semi-where the ball stopped rolling. On an EQ factor, with nothing active and totally flat, the bass quantity is well into the lacking territory. 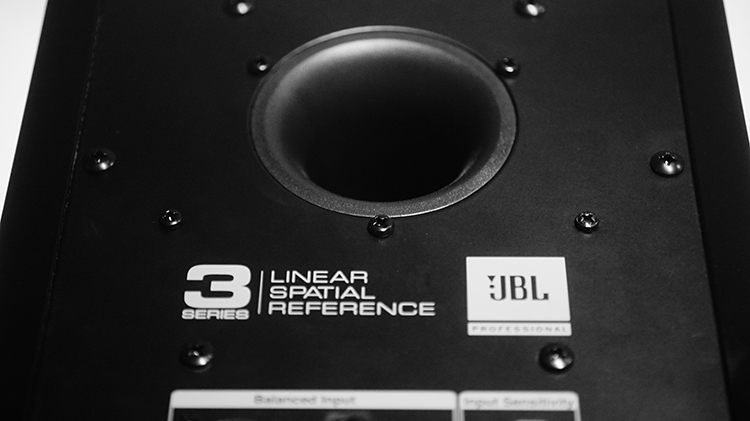 Midrange and treble overpower the bottom end and the experience sounds relatively needy of a sub-system. For $300 or so, quality is very good. Not as good as my AudioEngines A5+, which cost over $600 by the way, but still very good and similar to the A3 series from AudioEngine, no doubt there. I prime this speaker as a good value at $300 for bass quality. Not so much for quantity and even with the extra boost available on the rear side of each speaker, I require a whopping extra +8dB on my source, plus the hardware toggle increase just to get that extra depth I crave. I am a bass head though, and these speakers do not satisfy at all in that area. Furthermore, the experience is still lacking with that setup of EQ at low levels of volume. You will never get that bassy depth if you are using them as a desktop speaker at your office or in your home that is in a near field setup. You have to crank that volume up well beyond safe and comfortable levels (when you are close to them) just to get that extra bass power. In a party or very large room setup, that bass will be there and it sounds smooth throughout. But not at low levels of volume. If bass is your thing, look elsewhere. 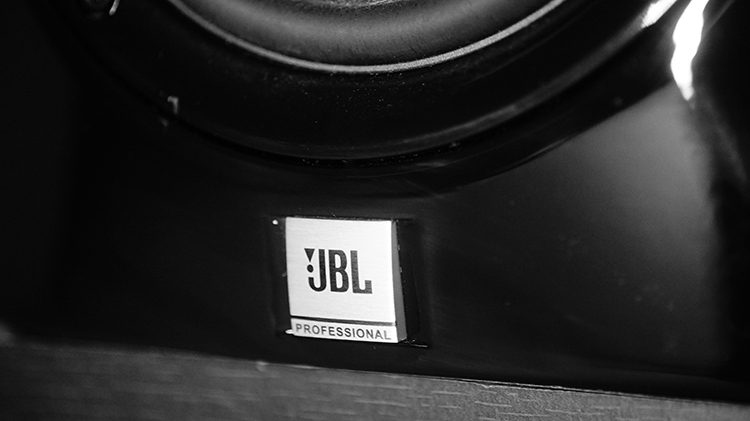 JBL is not known for vividly forward or engaging midrange and sadly these 305’s are plagued with the same issue of moderate placement of vocal experiences. As per what is there, I am not really fond of it on a subjective level but that is just me. Even at near-field placement (meaning you are sitting close to the speakers and listening at lower volume level) the 305’s still sound distant. That is not to say they are recessed, they aren’t. They are just relaxed feeling and not broadcasting a noticeably bloom effect, or a blossomed vocal experience. The treble and mids seem aligned in that regard, so if you like a relaxed sound signature for the most part, then these are a great pick for you. If you want a more forward appeal, I’d be looking into an older Cambridge Audio set instead. As for quality, again, the 305 at the $300 or so tier performs very well. In fact, double playing tracks with midrange and doing my best to optimize volume controls between these two different sets of speakers, I messed around and played both the 305 from JBL and my AudioEngines at the same time to see if I could toggle one and the other off randomly and figure out, for sure, which sounded better. I failed that test, I was not able to really offer any constructive differentials between them. The 305, at least on my setup, sounds virtually the same as my $600 A5+. Interesting. But, don’t take that to heart too much, because the A5’s still trumped the 305 in everything else. Despite that, for $300? I am not complaining in the slightest. The JBL’s here offer excellent midrange for the price. Probably among the best in a non-custom chassis that I’ve heard recently. Ah. The weakest link in the chain. Sometimes, I feel like the 305’s put out a relatively lacking upper end. I can really notice a quality drop off during those double speaker tests I was performing earlier. Muting the 305 while my A5+ played, and vice versa, resulting in a very apparently quantity difference in favor of the A5. Sadly, the JBL 305’s put out less treble on an inactive EQ setup. Is that a big problem? Nah. Not really. 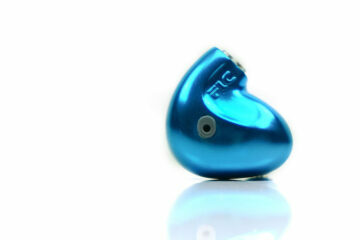 The A5+ shells out enough treble at high volumes and with sufficient substance factor to impress a party room. 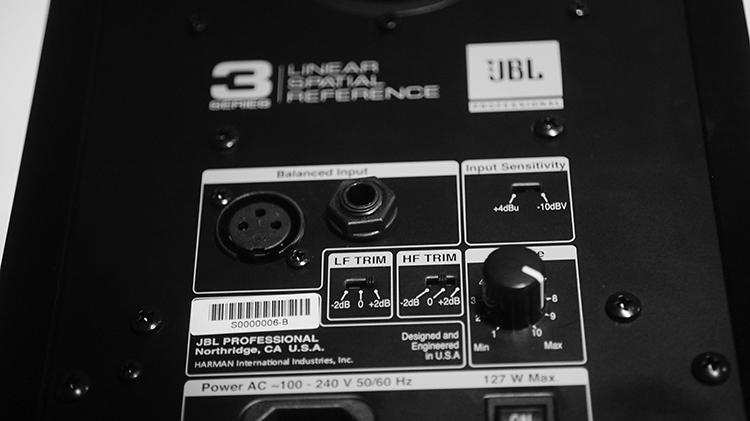 The 305’s from JBL…not so much, at least in regard to treble impressiveness. Quality is just fine for $300, but quantity is an issue and I, once again, need to raise the top end to get to the desired sparkle that I enjoy subjectively. I am sensitive to treble and yet I find myself needing more than what is offered on a flat EQ on these JBL 305’s. Also during that mute-swap testing phase, I noticed the JBLs lacked a depth of field and realism factor, but retained enough substance factor to physically feel similar to the AudioEngines that were being fed by a nice power amp. Imaging on these, especially at low-level listening volume, is underwhelming and shoulder shrug worth. 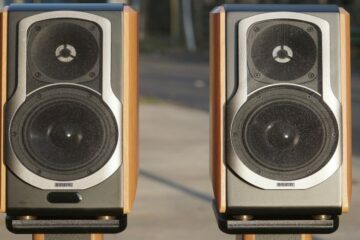 For a room that is 20×20 or so, these are not well suited enough to be considered very good soundstage performing speakers. At very near-field placements, these are still not what I would consider very good in that regard. But, for $300? Once again, I give a respectful nod because they are powered and clearly not intended for massing imaging prowess. These are meant to be used by college students on a budget who can’t turn up the volume too high, or people on a budget who prefer smooth bass and mids over anything else, as well as those who just don’t want to use an amplifier. So with that in mind, I forgive the depth of field issues, as the 305’s sound a bit flat…even when used at that party I toted them to with a room that was fairly large. Sure, they sounded clean and clear, but realism was an issue. But this is still funny to me because I’ve been to that room before with a full-on professional DJ who had large DJ-ish speakers and setup…and his setup sounded like garbage by comparison to these 305’s. I’m sure just his cable setup was more expensive than the JBL 305s and my portable DAP combined. I’m a former DJ, I’ve toted those giant speakers to gatherings in the past. I can safely say that partygoers are usually always upset by hot treble and loudness. That seems to be a trend of today’s DJ’s. Loud and lots of treble at a party. Why? Because they are used to playing at large clubs and don’t know that a smaller party area is not suitable for giant speakers like that. 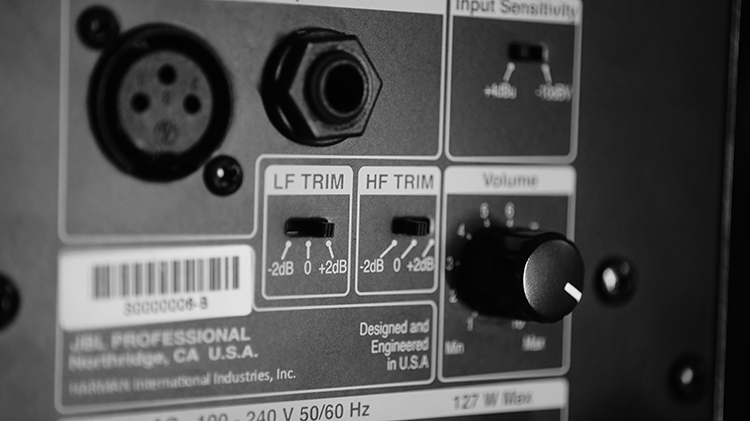 EQ my DJ friends…EQ is not a bad thing. Sorry for that story, but it is very true. My little JBL’s sounded much better than classic DJ speakers you hear at bars or a club played by a professional DJ? Or…at least, what that DJ considered professional. Anyway, it is the difference between consumer grade “Professional” gear vs budget Audiophile gear and budget gems out there. I’ll take the budget gems over the $1000+ “DJ” speakers any day. Thankfully, these JBL’s are not punchy at all and offer a positively leaning physical impact level, but without being annoying, even at high volume. Not quite a smooth feeling at high volume, but never wince-worthy. It performs very smoothly at lower, smaller room volume levels though. That is something I really enjoy. I do not want to shrug each time a high hat is struck or each time a horn blows in the track. Some people really like that, but I am not one of them. I want a smooth ride, but also with some engaging factors. Too much is a bad thing, at least in my opinion and JBL did a good job here making sure that the sound, in a physical impact sense of the word, is not overly powerful or beastly. You can listen to these speakers at normal volumes for a long time without any fatigue setting in. Hell, as mentioned, I had them cranked up fairly high at a venue and nobody felt like they were fatigued for the few hours these speakers were playing tunes. Thank Massdrop for offering an even lower price on these when they are on Drop and make sure to vote for them when they do appear. Discounts are always nice. I thought they were good at the $300 tier or so, but via Massdrop, you’d get them a bit cheaper. I think the JBL 530s are still my favorite JBL speaker though, and I’d rather invest the double the price-quantity out of my wallet for those instead. These smaller 305’s though are just good performing speakers in general and get a solid scoring from me. I enjoy them and have very little to complain about at this price range. So with that in mind, in the future, I think I would prefer to see fewer options there for dB toggles and more invested in quality amps inside. Class-D is great, but imagine what they may have sounded like if all that other tech was absent and most of that was invested in the bass circuit. Yum. That seems like a relatively easy thing for JBL to do, at least in my opinion. Right now, these 305’s are more aimed at the general audiophile who knows good sound but doesn’t need a lot of volume. Someone with a relatively small room, but also one that is not setup for desk listening. The 305 is not really so well suited for “very” near field, or on your desk 3ft from you listening. It is better for a college dorm with speakers on your opposing side wall, or a small bedroom or listening area. At the end of this, I enjoyed them. No question that at the $300 tier, these are a solid choice for entry-level Speakerphiles. Good job JBL! At $180 a set, that is a great price. Just don’t expect audiophile quality out of them. These are good upper end of low tier speakers for desktop 2.1 usage. They are great for a casual pc user and someone who doesnt care too much about staging elements or depth. At that price, I can’t name any other 2.1’s that are as good. What would you rate these now for value since they are selling for 180 a pair? Thanks for the detailed review. I’m very curious about you thoughts on the Emotiva Airmotiv 5s and how they fare versus the JBLs. I am absolutely in love with these speakers for my desktop setup. The richness in the midrange for vocals and acoustic instruments is astounding. The treble is somehow smooth and detailed at the same time. 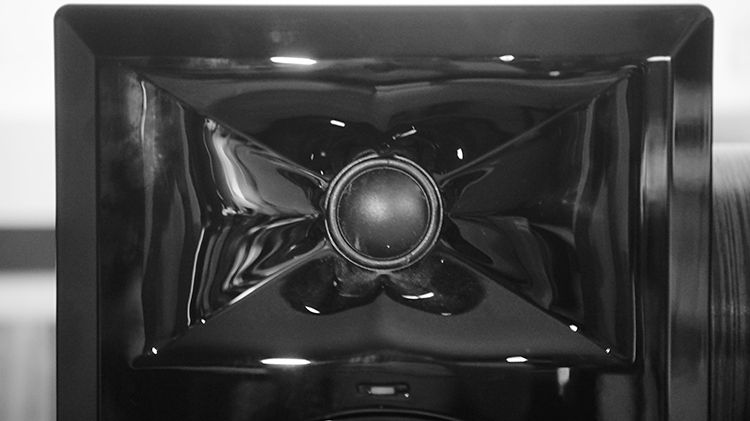 The bass has surprising reach without feeling bloated or boomy. Any chance for a review?